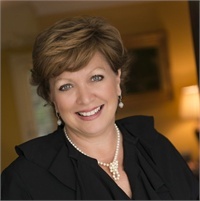 Luane Culpepper | Davis Financial Advisors, Inc. I began my career in the family business after graduation from the University of Tennessee, Knoxville in 1983. I have had the privilege of working alongside my father for over 30 years helping individuals and families with their financial and retirement needs. My motto is to learn something new every day and many days my clients are the best teachers! I have a Series 6, 7 & 63 securities registrations with LPL Financial. I currently hold my license for Life, Variable & Health in the States of Tennessee and Georgia. I received my CERTIFIED FINANCIAL PLANNING (CFP) designation from The College for Financial Planning in 1989. In 2013, I earned the CHARTERED RETIREMENT PLANNING COUNSELOR (CRPC ) designation from The College for Financial Planning. I am a member of the Financial Planning Association and Kingdom Advisors. I have been married to my husband, John, for the past 30 years. John is a partner in the Husch Blackwell law firm where he practices in the area of business and corporate transactions. We have three adult children and two golden doodles. On the weekends, we can be found hiking in the woods or on the water enjoying the great outdoors.